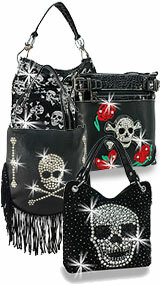 A rhinestone skull and cross bone medallion is the centerpiece on this stylish crossbody sling. It also features studs, grommets and unique, shaped studs. 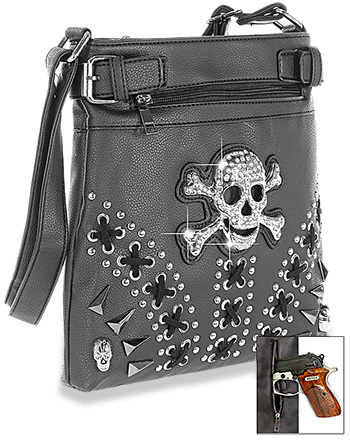 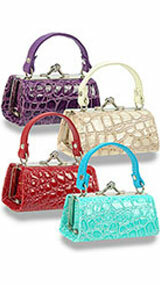 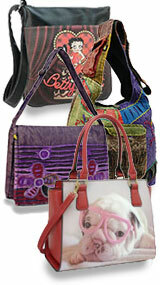 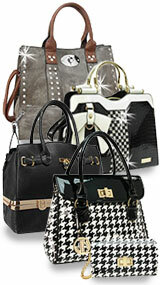 This handbag also includes a special zippered pocket on the back to secure your concealable handgun.